Prophet Reindolph Oduro Gyebi is widely known as Eagle Prophet; due to how accurate and detailed his prophecies are. 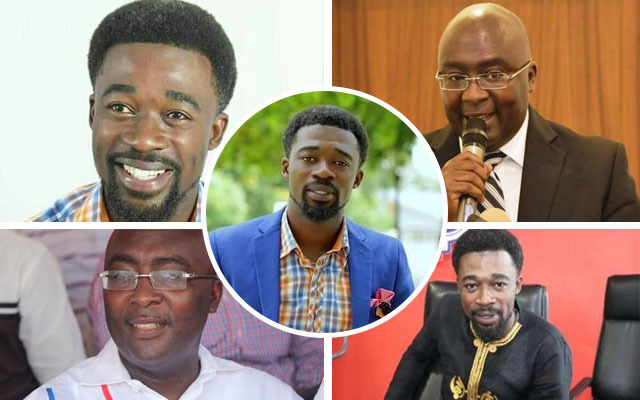 The Founder and General overseer of God's Crown Chapel has admonished Ghanaians to pray fervently for the Vice President of the Republic of Ghana, Dr Bawumia and his family, with reasons best known to him. Prophet Gyebi during a Church service at his ultra-modern Church located at Ahodwo-Daban, a suburb of Kumasi, the capital of the Ashanti region, VIGOROUSLY warned the congregants present and Ghanaians entirely to hardly pray for the Veep and his family.